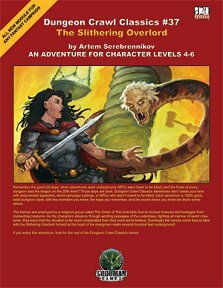 An adventure for characters of levels 4-6. Publisher's blurb: "The heroes are employed by a religious group called The Order of The Invincible Sun to recover treasure and hostages from marauding creatures. As the characters advance through winding passages of the underdeep, fighting all manner of weird creatures, they learn that the situation is far more complicated than they were led to believe. Eventually the heroes come face to face with the Slithering Overlord himself at the heart of his overgrown realm several hundred feet underground!"